How do silage-specific hybrids stack up? Picking corn hybrids, especially for silage, isn’t quite as easy as it used to be in terms of the sheer volume of candidates now available. However, what has changed from when Dad or Grandpa tackled the selection chore is that there is more hybrid performance silage data available. There are many different types of silage-specific hybrids. 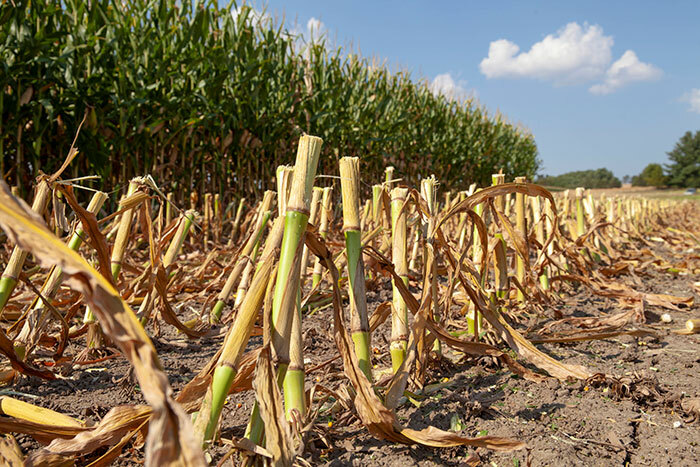 In a recent Corn Agronomy blog post, Joe Lauer, University of Wisconsin (UW) Extension corn agronomist, discusses two of the most popular silage-specific types that have now been on the market for a number of years — “leafy” and brown midrib (BMR) hybrids. In Lauer’s hybrid performance trials, leafy hybrids tend to be average for milk per acre and below average for milk per ton when compared to the mean of all hybrids tested between 1995 and 2018. Brown midrib hybrids performed below average for milk per acre and above average for milk per ton. Lauer has not seen a trend toward new generation leafy or BMR hybrid improvement compared to nonsilage-specific types. This is likely due to the fact that all types of hybrids are making improvements at a similar rate. Lauer notes that BMR corn hybrids are often associated with higher milk production both on the farm and in research trials. But he also acknowledges that planting BMR hybrids comes with the realization of a lower yield tradeoff. The longtime Wisconsin corn agronomist has often offered this advice: “Buy all of the BMR corn silage you can buy but be careful about growing it on your farm." One method that dairy farmers can use to help assess the economic ramifications of growing a BMR hybrid is to use a new Microsoft Excel spreadsheet that was recently developed by Randy Shaver, UW-Extension dairy scientist, and others. The spreadsheet lets the user compare income and costs associated with feeding a BMR hybrid compared to a non-BMR alternative.